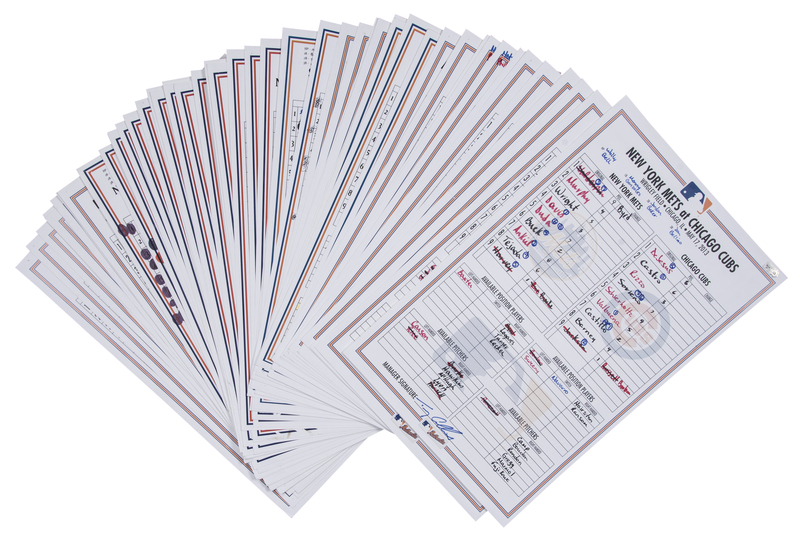 Offered here is a collection of 55 game used New York Mets lineup cards for David Wright home run games between 2005 and 2013 inclusive. 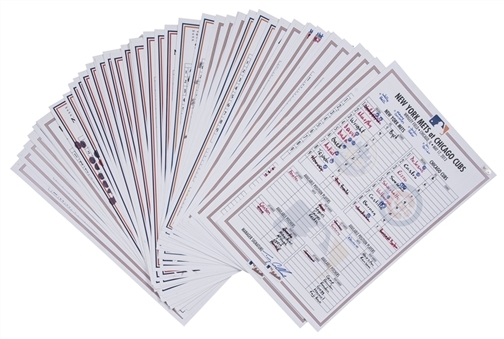 32 of these lineup cards have been signed by Mets manager Terry Collins, while one has been signed by Willie Randolph, the Mets skipper from 2005 to 2008. Randolph’s signed lineup card is from August 24th, 2005. One lineup card has been signed by David Wright (September 29th, 2010) and inscribed “100 RBI / 168th Homer” in black marker while a second lineup card (September 22nd, 2008), has been dual signed by Wright and Daniel Murphy in blue marker. Additionally, two lineup cards have been signed by Ruben Tejada (July 3rd and 19th, 2012). 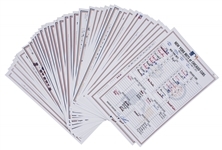 These lineup cards come with MLB Authenticated holograms.